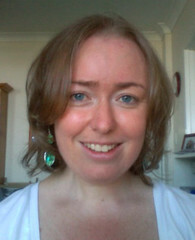 Dani Treweek is our September contributor on EQUIP book club. "I became a follower of Jesus sometime in late high school and now, a 'few' years later I am the Women's Ministry Coordinator at St Matthias, Centennial Park. All that means is that I get to spend my days with the women of St Matthias, reading God's Word with them, joining them in prayer and training and equipping them in their service of God and his people. What a privilege! The other important things to know about me are: 1) I don't drink coffee (and never will!) 2) I persevered with LOST until the second last season and then gave up in despair 3) I've only just started enjoying mushrooms and 4) I'm a first-time mother to two baby budgies called Zeke and Zumba (Zeke might be the bossy one, but Zumba is the brains of the outfit!)." Dani will be reviewing Singled Out by Christine Colon and Bonnie Field. 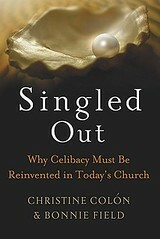 The tagline is 'Why celibacy must be reinvented in today's church'. It's definitely worth buying and sharing with friends. You can get it at a special price!